To build or not to build? This question finds itself on the mind of so many of our clients. As an experienced agent working alongside new construction buyer clients as well as the typical buyer client, we can show you both pros and cons, but the decision is ultimately up to you and your bank account. There are many variables involved with new construction, and many unknowns when jumping into a renovation, so it’s always important to make sure you are working with a buyer’s agent who is knowledgeable of the building process. Amidst the chaos of buying a home or building, the one constant, however, just so happens to be the outcome. At the end of the day, whether you build, renovate or buy, everyone… well almost everyone, finds fulfillment and peace in their home sweet home. 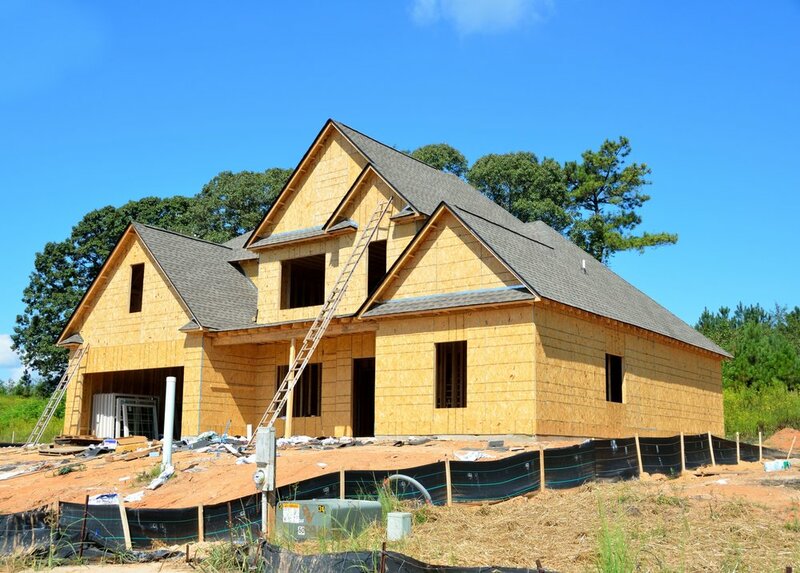 Generally speaking, if you want to go the new construction route, buying an established lot with a plan and builder already in place, will equate to standard financing, faster approvals and a smoother transaction. On the other hand, if you are thinking of buying a raw piece of land and then building a custom home with the help of a construction loan and a hired builder, just know that most banks may not even finance the land without engineering, town building approvals and or a home plan/construction loan in place. That being said, it’s important to understand the upfront costs associated with a new build. 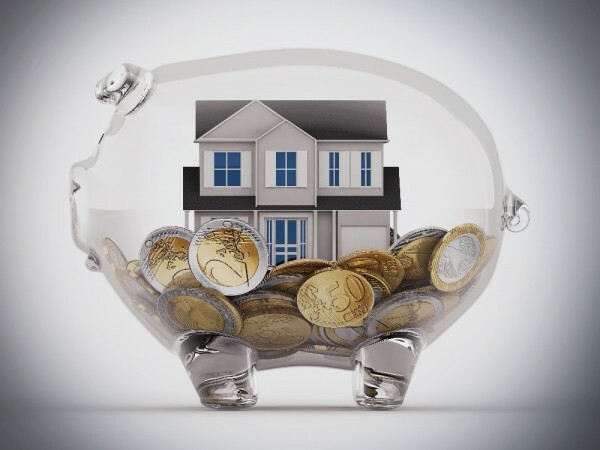 So whether you buy the land raw or purchase a home to be built, you can assume you will need a hefty amount of cash ready to purchase upgrades and or to float construction costs between loan installments. I could go on and on about the logistics of new construction, but I think I’ll spare you the nitty gritty for now. Should you like to explore your options with building, please don’t hesitate to reach out to one of our experienced and knowledgeable CHR agents for a detailed explanation of the process depending on your desired route. So, you’ve nixed the new construction fantasy and you’ve decided a home in need of some repair is more your style. This option is certainly the green route of the spectrum and we absolutely love a good renovation at CHR. Our advice to those looking to become the next “rehab addict”, is to watch your wallet and understand the value added per each project. It’s certainly wise to consult with your agent before making any major renovations especially if you intend to sell within the next few years. To this I mean, don’t go installing a fifty thousand dollar kitchen in a 1500 Sq Ft property located in an area with low to moderate priced homes. You want to make sure that your renovations are in line with the neighborhood. In other words, it’s never in your best interest to be the nicest home on the block. The theory behind this, is.. well basically, you will never fully make your money back and the definition of investment will get lost in that gorgeous WOLF range. Don’t get me wrong, your home will definitely sell quick and most likely for top market value, but no more than an appraisers highest local comp. However, if you are looking to stay in the property for a lifetime, we say, go for it! As long as you intend to thoroughly enjoy your newly renovated property, and you don’t plan on selling anytime soon, go ahead and “over improve” all you want. Who knows? Maybe one day the neighborhood will catch up in terms of value. Let’s just buy it and move in! After exploring all of your options in regards to your next home purchase, you’ve decided to buy a property that’s move in ready. By that I mean, not a thing to do, but park your furniture and take off your shoes. Basically, if knocking down walls intimidates you and dust in the air creates anxiety, this will be your best bet. It’s important to remember, however, that your move-in ready property will not save you any money and you’ll likely need to offer over asking if it’s strategically priced on the low side. When buying in a sellers market (low inventory and high demand), this type of property will almost always go for top market value or sometimes even more. Once your home search begins, you’ll want to hit the ground running with an iron clad pre-approval from a well known lender. This way, when you find a great home, your buyers agent can get your offer submitted ASAP. Remember though, there is always the chance your offer is outbid or pushed to the side due to another “perfect” offer consisting of a cash purchase, above asking offer, or an offer without appraisal or inspection. Don’t worry though, the perfect house will find you even if it takes a few missed offers. Again, this is based on the demand of the specific property and will not always be the case. Generally speaking we are only seeing this type of activity with move-in ready properties in a hot market location. Don’t fret though, if your offer isn’t accepted, just keep searching and eventually the perfect home will find you. This bring me to the importance of hiring a buyer’s agent knowledgable of the local markets. This is essentially a no brainer! At no cost to you (Sellers broker pays buyers agent), your agent will ensure all language, contingencies, dates and deposits sit well with the sellers. Whether you are looking to build a home or buy a home, it’s important to have an informed agent to represent you from beginning to end. Contact one of our knowledgable agents today and let us help you find your way home! Real Estate was my first love! Real Estate has and always will be my calling! We love working with buyers and sellers! We love looking at homes! So there you have it, a few typical responses you may have heard from your friendly neighborhood agent. If you want to spare yourself from my full explanation, now would be a great time to head on over to the CHR search page and browse some fantastic properties. Otherwise, read on and let us know why you admire real estate, chose real estate, or why you would love to choose real estate as your career of choice (please don’t tell us it’s because HGTV’s House Hunters found itself in your living room at late hours of the night.. or please tell us it did.. ha ha ha). The truth is, real estate wasn’t my first love and it certainly won’t be my last! So, why is that I chose real estate, and why is it that I allow it to consume almost every waking hour of my life? I admire and respect real estate and all that it encompasses! When you take 10 different fields and combine it into one well rounded role with endless possibilities and a compass pointing in every which direction, that’s real estate and that’s why I choose to conquer and master all that it has to offer myself and so many others out there! When you couple end to end transaction management with marketing, advertising, website design, interior design, customer service, business management, networking and (insert one of your many roles below), you are left with a consistent complexity of careers all bundled into one broad category, known to so many of you as, the one and only - Real Estate - . So what does this all have to do with my decision to choose real estate as my career of choice? Well, it’s simple really. Real Estate provides me with endless possibilities all the while filling every need to challenge myself and conquer different fields without moving careers. Once I’ve mastered one field, I can maintain that knowledge, nurture it and continue to build on it. Meanwhile, developing new skills to further myself and benefit all those who live and work around me. What you put into Real Estate is what you’ll get out of Real Estate. I took those words to heart and jumped in feet first. What will you do? Custom Home Realty, the Mendon Parks Department and the Mendon Festival Committee are proud to present the first annual town wide Easter Egg Hunt. The Festivities will begin at 11am in the Clough School field and end at 2PM. Activities will include pictures with the Easter Bunny, egg hunt, crafts, and miscellaneous games. Head over to our Facebook page to Like and Share our post and win Patriot sweatshirt and Mendon Greenhouse Restaurant gift card. As most homeowners know, buying a home not only consists of working with an agent and the bank, but also hiring a home inspector. Typically a home inspection is completed within 10 days of offer acceptance. This allows the buyer to accompany a licensed home inspector throughout the property and investigate all accessible utilities and appliances while ensuring the structural integrity meets standard code. A home inspection basically serves to assist the future homeowner in making any post inspection repair requests, and ultimately determines whether or not the home is an acceptable fit for his/her future purchase. As a buyer, he/she may be alarmed or confused when the home inspector asks if a radon kit will be part of their home inspection package. Heres the truth of the matter, Radon exists, and living in the northeast where ledge is found on every corner of every lot, we see this radioactive gas above the 4.0 EPA limit in about 35% (give or take) of our sales! Rest assured, while this gas is common and can be scary, it is quite easy to mitigate. As a CHR agent, we are always sure to mention radon to our clients, no matter the side of the deal we are working. Basically, there is always a chance this gas is going to show up in a transaction, and it’s important to have it on your radar. When found, a buyer typically will request the seller to mitigate. Depending on the deal, typically the seller will agree, however, there are certainly times when a seller refuses. Heres the issue though; should both buyer and seller refuse to pay for mitigation and the deal falls through, we as agents have to disclose it on the listing from then on out. So, it’s always in the sellers best interest to mitigate prior to close, or, offer a closing credit to the buyer to avoid going back on market. If not, the odds are, the property will sell for less money the second time around. The cost to mitigate is usually falls in between $900 - $1400, depending on the company and the size of the property. So what does the mitigation entail? It’s simply a PVC pipe that begins beneath the concrete foundation and fans air up and out of the property. The radon mitigation company will include a radon meter on the pipe that constantly measures the radon level, which if functioning properly, should never make its way above 2.5. In honor of national radon awareness month, Sue Reider, a Certified Inspector and owner of KeyStone Home Inspections, recently added this great explanatory image to her facebook page to help prospective and existing homeowners understand the movement of radon. While most people tend to test for radon in the air, it’s also important to note that radon can be found in well water as well. However, this is typically not as common. This would entail a much more costly mitigation and would be performed by a well water professional. Should you choose to have radon tested, please reach out to your local home inspector, and to test the water, a well servicing company. As always, thank you for reading and pass along this useful tidbit to anyone you know who may be considering their next home. CLICK THE CHR IMAGE AND TAKE A MOMENT TO WATCH OUR NEW PROMO VIDEO! This spacious 5 bedroom & 4 full bath colonial includes a separate in-law apartment situated over the extra large heated 3 car garage. Deborah Flanagan and Naomi Herron combine resources and real estate brain power to better serve their clients. The time frame your house is on the market depends on price, location, and market trends. 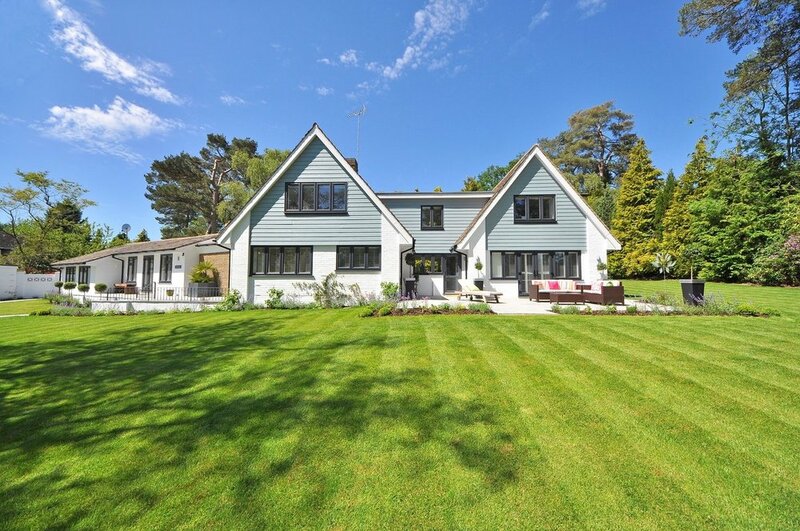 A list of 20 tips to properly prepare your home to list, show, and more importantly, SELL!